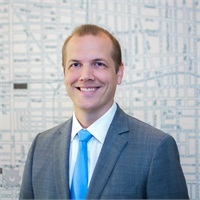 Nicholas serves as the firm’s Director of Private Wealth. In his role, he chairs the Private Wealth department, sits on the firm’s investment committee, and helps to advance the Wealth360 Experience. He began his career in private wealth management in Charlotte, North Carolina before moving to the Philadelphia area in 2007. Nicholas and his team help successful entrepreneurs, executives, and other high-net-worth individuals and their families properly align their financial resources to their personal aspirations. Nicholas has earned both the CERTIFIED FINANCIAL PLANNER™ (CFP®) and Certified Private Wealth Advisor® (CPWA®) certifications. He earned the CPWA® after completing an intense executive educational program and passing a rigorous examination at The University of Chicago Booth School of Business. The CPWA® is an advanced education and certification program that furthers one's knowledge in identifying and analyzing challenges high-net-worth individuals face and understanding how to develop specific strategies with the goal of minimizing taxes, monetizing and protecting assets, maximizing growth, and transferring wealth. Nicholas’s financial opinion has been solicited by various publications, including ABC News, Business Insider, Consumers Digest, CNBC, Financial Times, Philadelphia Business Journal, SmartMoney, Thompson Reuters, USA Today, The Wall Street Journal, and others. Nicholas graduated from James Madison University with a Bachelor of Science in Economics degree. Nicholas and his wife, Beth Ann, live in Horsham, PA with their three young children, Madison, Charlotte, and Noah. He enjoys spending time chasing his three young kids around, playing tennis and golf at Manufacturers’, and skiing in Stowe, VT.